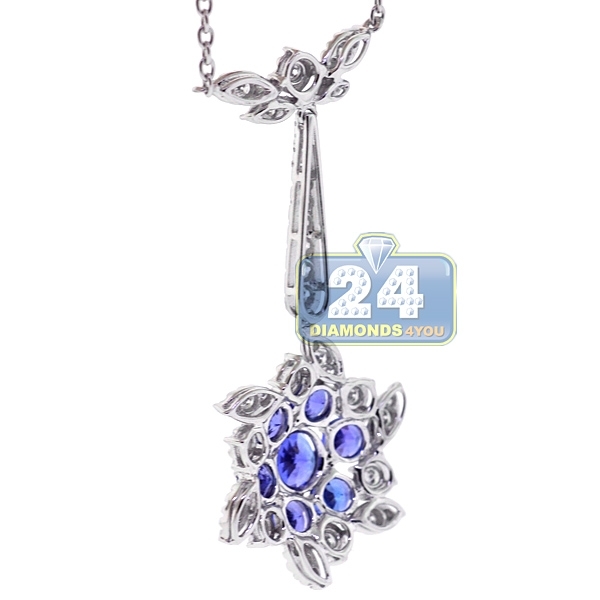 Complete your evening look with our tanzanite diamond necklace! 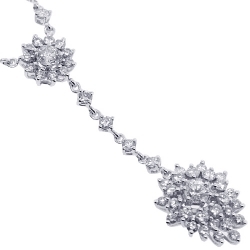 Beautifully crafted in luxurious 18k white gold, it's has rhodium covered highly polished finish. 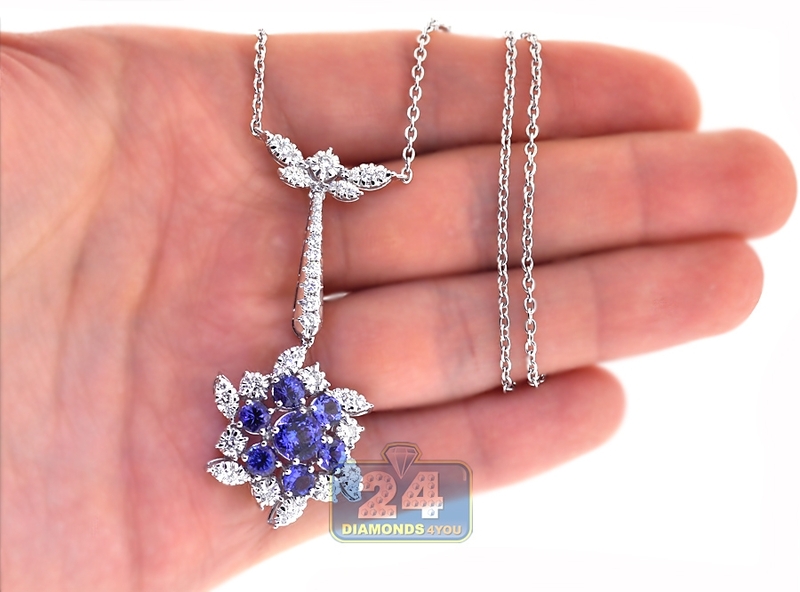 The flower pendant features 4.13 carats of round-cut natural blue tanzanites that highlighted by gleaming white round brilliant-cut diamonds of 1.22 carat. 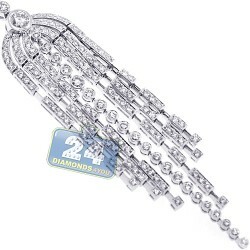 Our women's gemstone necklace measures 17 inches in length, and the pendant is 55 x 23 mm. The piece is secured by a comfortable lobster claw clasp. This flower gemstone necklace will look stunning on your neckline!